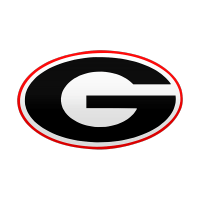 The fans at Sanford Stadium will see the upset minded Kentucky Wildcats battle the 3th-ranked Georgia Bulldogs when they take their seats on Saturday. The battle “Between the Hedges” will be televised nationally by CBS. Kick-off is set for 3:30 pm EST. Oddsmakers have the Bulldogs as 21.5-point favorites. The total is at 51. How will Georgia respond following last week’s 40-17 shell-shocking defeat at the hands of their bitter rival, the Auburn Tigers? The loss that knocked the Bulldogs out of the top spot in the College Football Playoff rankings. They fell to No. 7. They still have a chance to play for the national championship, but they can’t afford another slip-up. Georgia already knows it’s going to be playing Dec. 4 in Mercedes Benz Stadium for the SEC Championship. That will be against Auburn or top-ranked Alabama. If The Bulldogs can get past the Wildcats, Georgia Tech, and win the SEC title game they are all but assured a spot in the playoffs. Georgia’s Nick Chubb leads the way with 894 yards and 10 touchdowns. He needs just 106 yards to reach 1,000 for the third time in his career. Teammate Sony Michel has run for 731 and nine scores. Jacob Fromm will try to bounce back from a difficult afternoon against Auburn, completing just 13 of 28 passes for 184 yards. He was battered and beaten the entire game, which was uncharacteristic of the Dawgs offensive line. Georgia’s passing game feeds off of the run game and that is priority #1 going into Saturday’s SEC Tilt. Kentucky won its last outing, a 44-21 result against the Vanderbilt Commodores on November 11. The Wildcats covered in that game as a +2-point underdog, while the 65 combined points took the game OVER the total. The Wildcats are still alive for a 10-win season and a Jan. 1 bowl.They can win their final two games, and after last week’s rout of Vanderbilt the ‘Cats are feeling pretty good about its chances. Kentucky features sophomore Benny Snell. He is a 223-pound bruiser who has run for 1,013 yards and 15 scores. That ties Auburn’s Kerryon Johnson for tops in the SEC. Previous: Sports Traditions – Where do they come from?